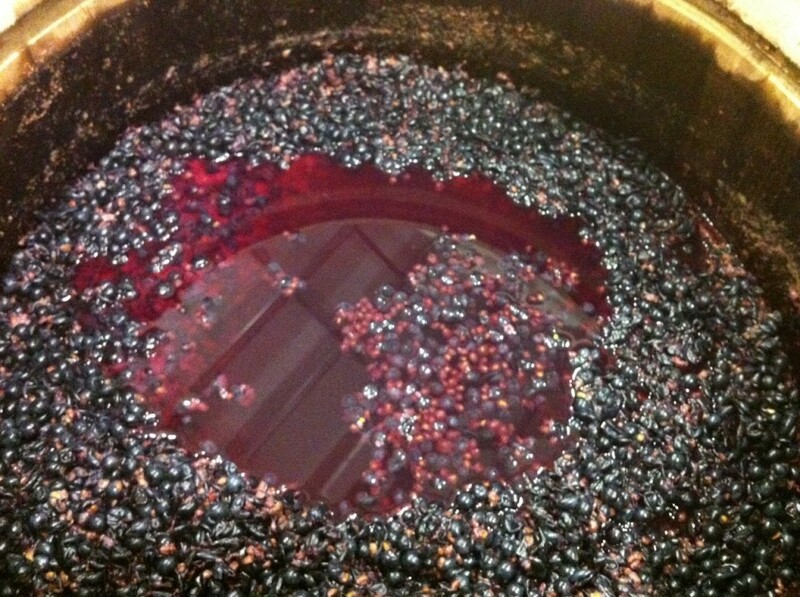 The glorious moments of "Cold-Soak." It’s Wednesday, October 12, 2011. I’ve been ordered by the town Doc in St. Helena to “take off” 10/11, 10/12 & 10/13 and then some. Apparently, I’ve been… overdoing it. A slight case of Vertigo and the ailments that follow have set me back. And I’m happy to have been knocked down into a chair for a few days because I realized I haven’t had a day off since June 8, 2011. Well, one day off, but I hiked Mt. 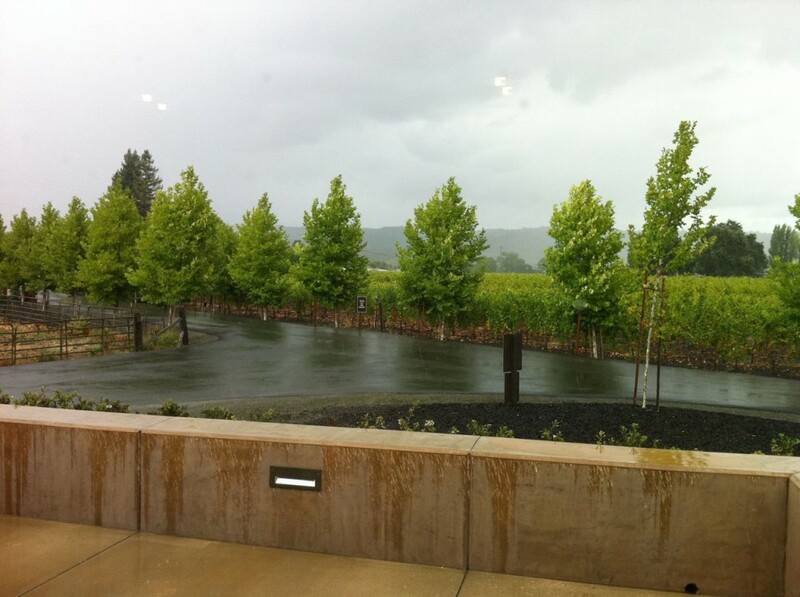 St. Helena with Amanda Wells – the same Amanda Wells that happens to be married to me. Okay, listen: It’s Harvest, can you smell it? The salt air? I brought you to — wait, wrong movie. 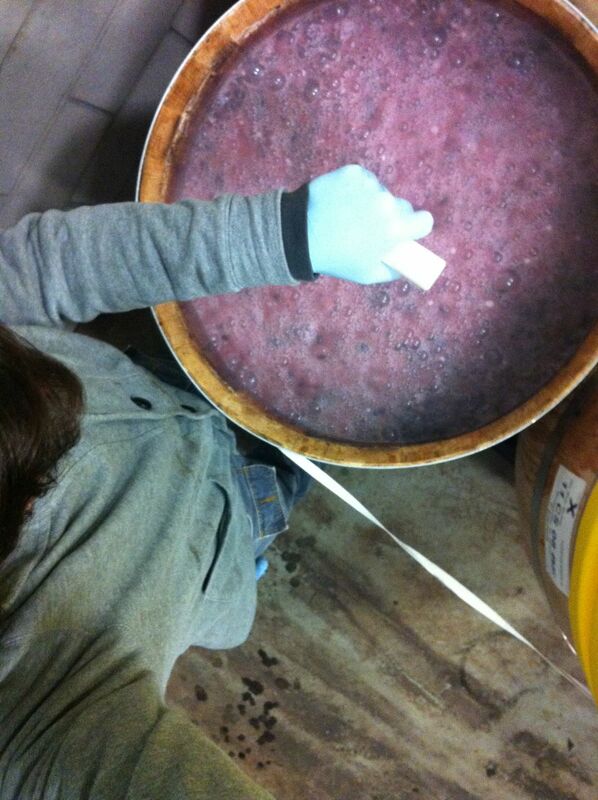 The fermentation in the air? I’ve brought you to Napa Valley! Jean: We cold-soak for an extended period of time because when the grapes are not fermenting and with the absence of alcohol, the tannin extraction, fruit and flavor extraction works best. We can make a wine with more concentrated, nicer flavor and aroma characteristics when the exchange of flavor and aroma profiles happens in the absence of alcohol. Punch-downs - juice is bubbling from the dry ice we add to keep the temperature down and hence prohibit fermentation. We'll spend 5 minutes on each barrel, punching down the caps. 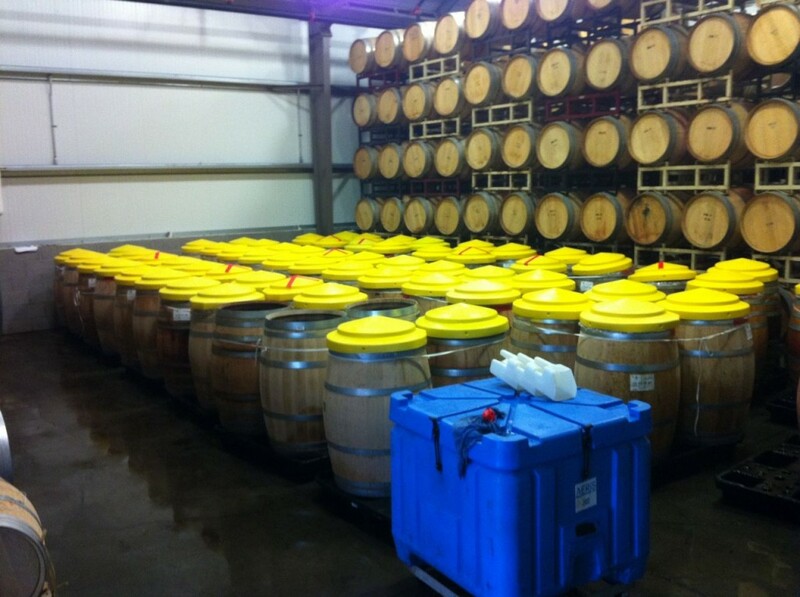 That's 5 minutes per barrel on all these barrels, and apparently, I'm told , "This ain't nothin'." Well, I'd love to see what "something" is because this "nothing" is pretty intense. About 5-6 hours of work if alone. 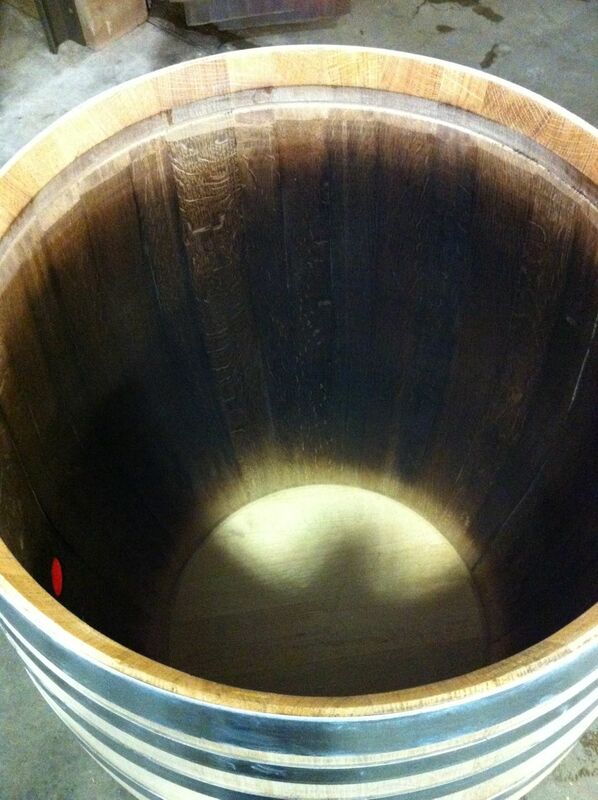 Inside of a new Oak Barrel -- looky that toast! If you were to stick your head into that barrel, as I did just after snapping this shot, you’d smell, so help me bloody merry, graham cracker and toast. And what a delightful smell too! But you see, good wino, that’s a reality and in a red you might just find that the aromas blend in such a way that you think you’re drinking a glass full o’ s’mores. Not sure what this means for many growers, but as they say, we’ll find out. And I’ll let you know. 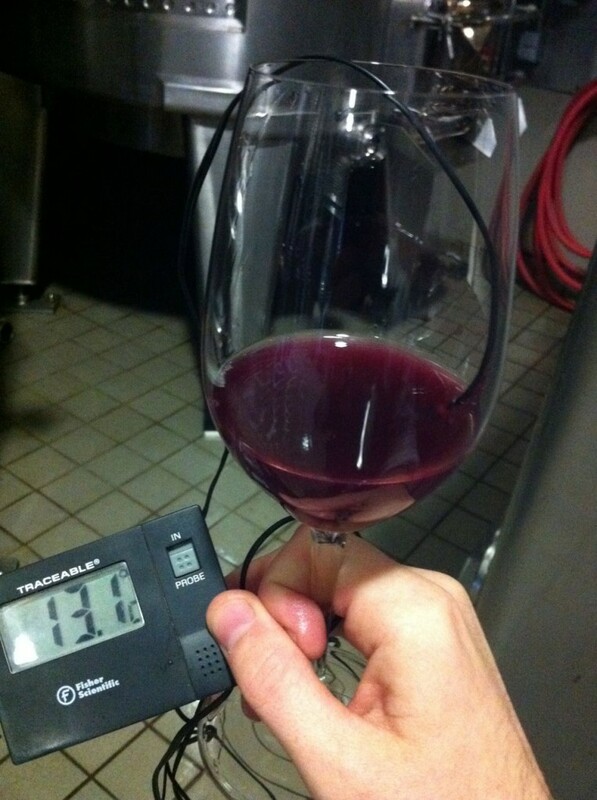 So, we spent time inside recording the temperatures of the cold-soaking goodness.